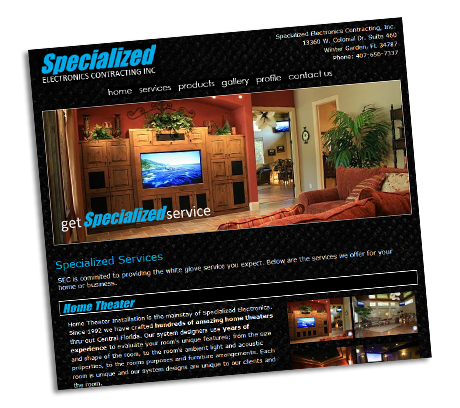 When we designed the Specialized Electronics website, we knew the SEO aspect of the project was going to be difficult. There were several other companies in Central Florida that had been online for years, which presented a challenge. 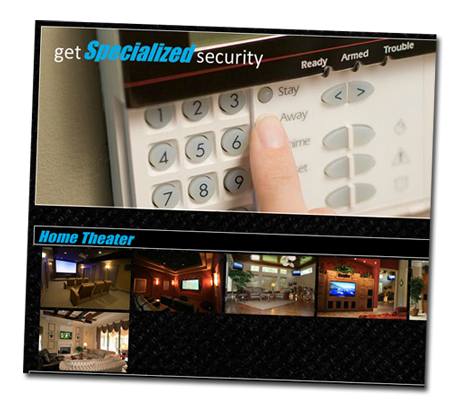 He started the project un-ranked, and within 6 months, was on the first page of Google for the term Orlando Custom Home Theater. As of August 2011, Specialized is currently ranked 2nd for this search term. We took this challenge because we have a solid understanding of how Google operates. We also understand the changing landscape that is online search, and we know how to adapt our techniques through continued edication and research. If you have a small business website that isnt performing for you, please contact us here, call us @ 407-284-1192, or email info@hughesitsolutions.com.